Conjunctivitis is a condition that happens to us when we least expect it. This condition, also known as pink eye, can severely hinder our vision and leave our eyes feeling incredibly irritated. Fortunately, Sites Vision Clinic in Clarksville, Tennessee has some information for you that will educate you on pinkeye, how it is diagnosed, and how your optometrist can help you seek treatment. Conjunctivitis is the inflammation and/or swelling of the conjunctiva. This is the transparent layer that covers the inner surface of the eyelid and covers the entirety of your eye. Conjunctivitis is a common eye disease that children will oftentimes experience. It is contagious and can be spread via contact with others who are infected with it. However, it should be noted that conjunctivitis can develop into a larger problem if it is not remedied immediately. Here are some common symptoms of conjunctivitis and how they affect your eye once you have contracted the disease. Pink Eye. 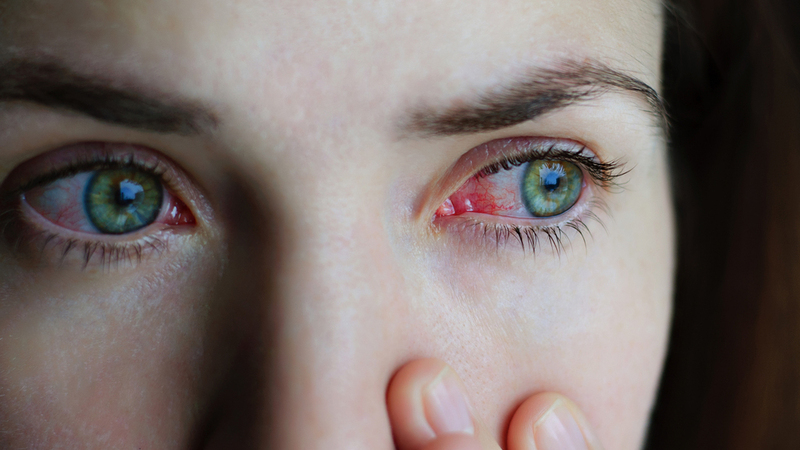 One of the most common names for conjunctivitis is pink eye. It is because the disease lives up to its name. The eyes will become abnormally pink and begin to swell once infected. Increased Tear Production. The eyes will begin producing more tears than normal to fight the infection. This can cause vision irritation since their eyes are constantly wet throughout the day. Itching and Burning. One of the most discomforting symptoms of conjunctivitis is burning and itching. You will involuntarily feel the urge to scratch your eyes. It is recommended that you do not as this can exacerbate symptoms. These are some common treatments that your eye care doctor will recommend you do to treat conjunctivitis. Antibiotic Eye Drops. Your optometrist will prescribe you antibiotic eye drops to help fight the infection. Use these as recommended throughout your day to see results. Removal of Contact Lenses. Sometimes your contact lenses can become dirty and bacteria can get into your eyes. Your eye care doctor will recommend that you switch your contact lenses or simply clean them thoroughly. Eye Flushing. One of the most uncommon cases of conjunctivitis is chemical conjunctivitis. You will be required to flush your eyes and you may be potentially required to utilize topical steroids to help fight infection. Have you experienced pink eye recently and are in need of treatment? Sites Vision Clinic in Clarksville, Tennessee has the resources you need to help you alleviate your symptoms. Our professional team of eye care specialists is ready to assist you when you need it the most. Give us a call at 931-614-0028 to schedule your professional appointment today.